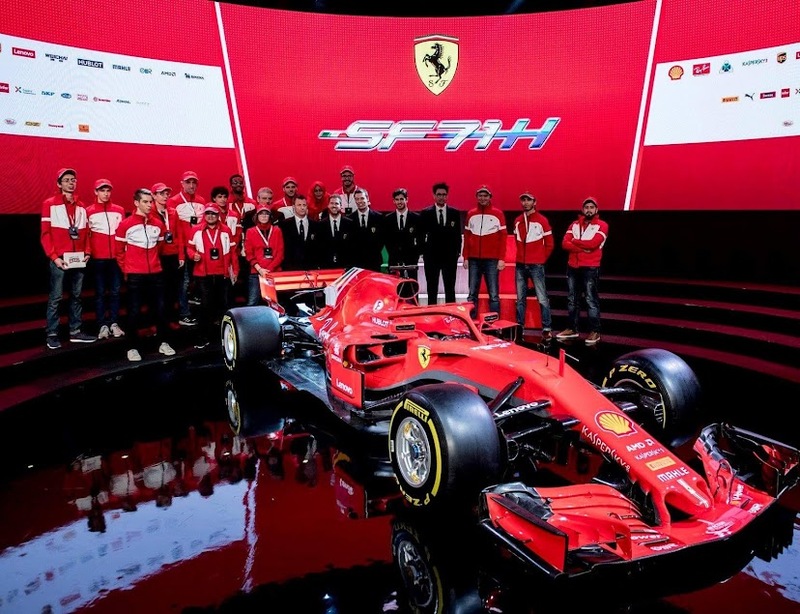 In love with Formula 1: Mexico GP: A nightmare race for the Ferrari duo! Mexico GP: A nightmare race for the Ferrari duo! Kimi in his Ferrari and the McLaren team-mates Alonso and Button were the only drivers to start to the race on the white-marked medium tyres. All the others were on the yellow-marked soft tyres. Lights went out in dry and warm conditions. Rosberg maintained his lead with Hamilton following him closely. Kvyat in his Red Bull jumped third. Sebastian in the other Ferrari collided with Red Bull´s Ricciardo in turn 1, which caused the German a rear-right puncture. Sebastian´s race turned a lot more difficult right at the start! He had to pit for a fresh set of medium tyres and try to make his way through the field. The Mercedes duo started increasing the gap to the Red Bulls of Kvyat and Ricciardo, who had no chance to keep up with Mercedes´ pace. At the back of the pack Kimi made consistantly his way further up in the field. By lap 8 Kimi had made his way up to P13 already. Now the Iceman was only 5 seconds off P10 to score points! Bottas in his Williams pitted already on lap 9 and opted for a fresh set of medium tyres. It was a bit surprising as the Finn had reported on the team radio only a moment earlier that his soft tyres were still in good shape. Also Bottas´ team-mate Massa and Force India´s Hulkenberg pitted a lap later. By lap 18 Sebastian had managed to make his way up to P11 but suddenly he made a mistake and span off track! Luckily he managed to continue the race but dropped down to P16 and had to begin overtaking all over again... Sebastian has very rarely made mistakes this season so this one caught me by surprise. But I was absolutely confident that the German Ferrari ace could easily make it into points, however. Kvyat was the first top three driver to pit on lap 22. He opted for a fresh set of prime tyres and rejoined the track in front of the Finns Kimi and Bottas. Only a lap later there was once again huge drama between the Finnish countrymen! This time Bottas made an overtaking move on Kimi but Kimi was absolutely stubborn not to let Bottas past, which lead into a collision between the Finns! Kimi ended up off track with the rear suspension broken and the Iceman was out of the race. Surprisingly Bottas got away from the collision unharmed and could continue fighting for good points. What an utterly disappointing moment! This could have been prevented... But Kimi had decided not to leave Bottas any room and Bottas was passionate about overtaking Kimi. And sometimes collisions happen in motor racing. But I definitely was looking forward to a whole different race in terms of Kimi...! Bottas now got his revenge as they had collided previously in Sochi where Kimi had tried an overtaking move on Bottas but ended up knocking Bottas out of the race. By lap 26 Toro Rosso´s "Flying Dutchman" Verstappen had already made his way up to P4 but after the pit stop he dropped down to P8. Rosberg in the lead pitted not until on lap 27 and Hamilton on the very next. Sebastian in his Ferrari pitted already for the second time and got lapped by Hamilton, which must have been an awkward moment for the German. A bit surprisingly Rosberg was called to the pits for the second time on lap 47. Mercedes didn´t want to risk anything and they could definitely afford an extra pit stop. Hamilton was asked to box a lap later but the reigning world champion questioned team´s decision and didn´t drive to to pits immediately. But the team adviced the Briton that it was a clear instruction and Hamilton had no choice but to drive to the pits a lap later. On lap 52 Rosberg was leading the race with a 3-second gap over his team-mate Hamilton. Kvyat was third, Bottas fourth and Ricciardo had made his way past Massa and jumped 5th. But what a turn the race got then! Sebastian lost control of his SF15-T already for the second time in the race and crashed to the barrier! The German´s race was over. Already the second mistake for Sebastian in one race! I can´t describe my emotions at that very moment. All my high hopes were crushed in a heart beat! And I could only imagine how terrible Sebastian must have felt at that moment... I´ve read his very hard on himself in terms of mistakes and I can imagine him being very pissed at himself! Safety car was deployed and everyone rushed into the pits. All top drivers except Bottas, who came into the pits a lap later than his rivals. At first it seemed to be the wrong call but it turned out working well and the Finn managed to keep his 4th place. Four laps later the safety car came in and the race was on. Bottas had a fantastic re-start and made immediately his way past Kvyat and jumped 3rd. The Red Bulls of Kvyat and Ricciardo seemed unable to match the Finn´s pace. Hamilton instead had decreased his gap to Rosberg into just one second but Hamilton had no real chance to challenge his team-mate for the victory after all. Rosberg won the Mexico Grand Prix and this time Hamilton had to settle for being the runner-up. Bottas completed the podium, which was quite unexpected after such an eventful race. The Red Bull duo Kvyat and Ricciardo finished 4th and 5th and Bottas´ team-mate Massa 6th. The Force India duo Hulkenberg and Perez finished 7th and 8th, Verstappen 9th and Grosjean 10th. It was midnight here in Finland by the time I had watched all the post-race interviews. I was feeling so emotional because of the race that I had difficulties to fall asleep... And I have to say I really needed the swim in the 5-degree lake this morning, hahaha ;) But these emotions are what make watching F1 so great and memorable. Sometimes it´s toxicating feeling of success and glory, sometimes it´s bitter disappointments due to costy mistakes... All emotions are needed. Making mistakes is what makes us human. In spite of costy mistakes I´ll always support Sebastian and Kimi, no matter what. Chin up boys and towards new challenges! Abu Dhabi GP / Qualifying: Rosberg on pole again! Brazilian GP: Rosberg from pole to victory!